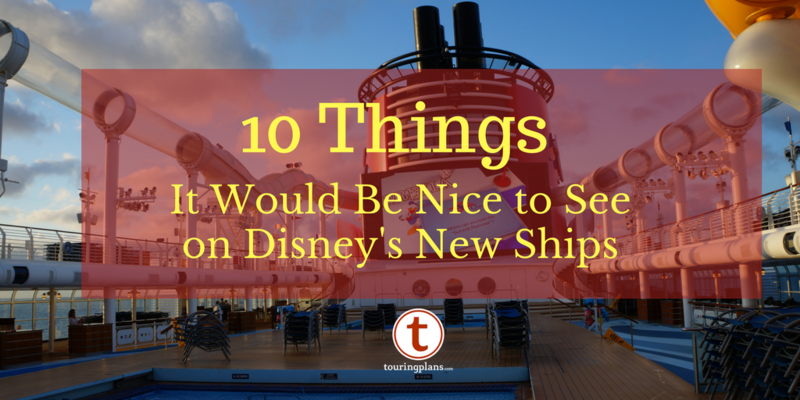 Disney Cruise Line has finally given us what we’ve all been wanting – new ship information! Unfortunately it’s not much. No ship names yet, dang it, and yet it was enough to drive the internet crazy with speculation. 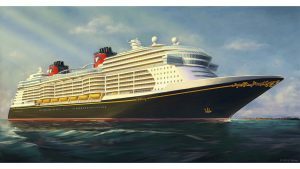 The same day the summer of 2019 itineraries opened for everyone to book (which is no coincidence I’m sure), Disney released a rendering of the new ships! It was an artist’s rendering which has been dissected and analyzed within an inch of his/her life. You may notice they kept the beautiful classic style of the current ships, while changing up some little things. For instance, notice the bump outs on the sides? The extra enclosed spaces up top? Exciting! But while that answers some questions, there are so so many left. What on earth is happening inside those walls? I’m pretty confident there is going to be something on these new ships that will blow us away. Something my limited imagination never even dreamed of. Who would have thought of virtual portholes before Disney did it? There are a few things I have dreamed of though. And here are ten of them! 1. 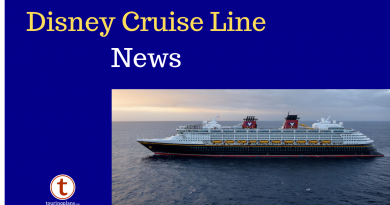 New Activities – While I think Disney does a great job with activities on board, with new ships should come new options! I have learned that I despise bumper cars (why is that fun? ), but Royal Caribbean does a great job of re-purposing their bumper car space for other things. It became basketball courts, dodge ball courts, a place for a BMX demo, roller skating and more! They also use their ice skating rink for other things! Space is a premium on a cruise ship, so I wouldn’t want to give up that much space for just one activity, but multiple activities would be great! Let’s not forget Disney has some pretty awesome licensing rights. How about an Indiana Jones-themed escape room? Minus the snake part of course. Or Avengers laser tag? How cool would that be? 2. More Virtual Technology – Disney is on the cusp of some serious virtual technology in the new Star Wars-themed resort. Bring some of that to the ships! How about an immersive, interactive night club in which virtual technology walls, awesome theming, and in-character cast members take you and your fellow cruisers through a Star Wars, Marvel, or Indiana Jones story while you enjoy the entertainment, a nice drink, and your company. Or, an arcade full of updated virtual technology could actually work. A free, high-end arcade would work better of course. Star Wars: Secrets of the Empire at Disney Springs blew me away. I could do it over and over. I’m pretty sure that would be booked solid on board. The virtual portholes were a game changer for inside rooms. Royal Caribbean copied that game, upped it and did virtual verandahs. Disney could certainly do the same. 3. 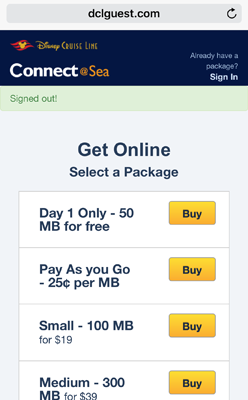 Better Wi-Fi – If you are one of those who can totally disconnect, bless you, but for the rest of us – Streaming. Wi-Fi. For the love of all that’s good and holy, Disney. Streaming. Wi-Fi. I’ve used it on other cruise lines! We have the technology! Make us pay for it, we don’t care! Flat rate for the entire sailing. We’ll pay it. We just want it. 4. New Shows – It probably goes without saying that there will be some new shows on the new ships. I’m guessing they will follow the pattern of the four current ships and have at least one based on a favorite character. Right now, we have Beauty and The Beast on the Dream, Tangled on the Magic, Frozen on the Wonder, and Aladdin on the Fantasy. Those are big shoes to fill. Moana has some amazing music, but is it classic enough yet? I’d say Lion King and Finding Nemo would be great, but I’m not sure they would duplicate those. The Incredibles could be awesome, but very hard to pull off I’m guessing. I’d be completely down with a Mulan show! And Brave! How about Brave! Or Monsters Inc.! The Lizzie McGuire Movie?! No, probably not. I went too far. 5. 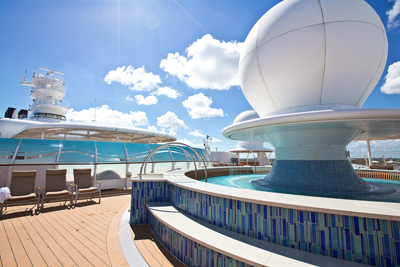 More Water Features – Let’s face it, people love to swim on cruises. And let’s also face it, it’s not possible to put enough pool and water features on a ship to fit everyone on board in them at the same time. It is possible, however, to devote more space to them. While I enjoy the multiple water slides on other cruise lines, I’m not sure I want to cheapen the look of the new ships by having giant purple and green slides all over. I’m guessing Disney Imagineers could come up with a way to add a few more, however, and keep it classy looking. The new rendering does appear to have a water coaster similar to the AquaDuck, which is good! It’s a great addition, and I wouldn’t want to see that go away. Hopefully the new ship will also have several wading pools similar to the Fantasy. I’m a huge fan of the adult only, Satellite Falls area, and I hope that stays. I’m also hopeful that some of that enclosed space up towards the top decks will include some kind of new adult only indoor pool area. If you’ve been on the Anthem of the Seas and been in the Solarium, you know what I’m talking about. I’d love to see what Disney could do with that! 6. MagicBand Technology – While it took me a little while to become a fan of Disney’s MagicBand technology, I’m all in. At Walt Disney World, I love not having to dig into backpacks for tickets, FastPasses, key cards, etc. The ships are ideal for MagicBands because they are already on a cashless system, yet today I’m still wearing a lanyard around my neck which has to be taken off at the pools, the beach, and so on, to pay for things I want to purchase or to open my stateroom door. A MagicBand is the solution. Put the band on and forget about it. I know a lot of guests enjoy the color coded lanyards based on their Castaway Club level (how many times they’ve sailed with Disney), but what if they made the MagicBands with a Castaway Club level designation? Plus think of the custom designs they could sell! That’s a pile of cash just waiting to happen. 7. 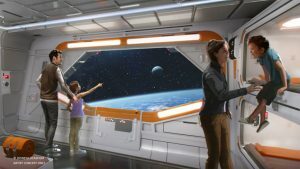 Themed Rooms – While I love the classic setup of the relatively spacious Disney staterooms, I wouldn’t mind if Disney threw in some themed staterooms (and the virtual technology displays used for the virtual portholes allows so many options for a themed room…). 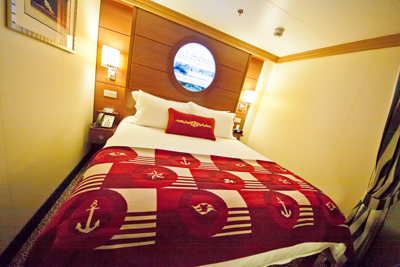 With 1,250 new staterooms per ship, there are plenty to throw in some themed rooms while leaving hundreds of classic rooms. And think of the possibilities for themed rooms! Star Wars, Princess, Pirates of the Caribbean, Haunted Mansion, Marvel, The Incredibles, Toy Story, so so many options. 8. Main Dining Room Updates – The main dining rooms on board are some of my favorite things. Disney created rotational dining, and it’s brilliant. Being able to change restaurants each night while your beloved servers move with you is wonderful. Live music in Tiana’s Place and Rapunzel’s Royal Table was a great addition, and one I expect to see duplicated in some way. I’m sure there will be some great theming on the new ships, with some kind of new amazingness ala dancing drawings or Crush conversing with diners. And what if there were more of them? Four or five restaurants instead of 3! In theory it wouldn’t take up much more space, and it would give diners even more variety. That may also allow for more seating options, like dedicated tables for two! 9. 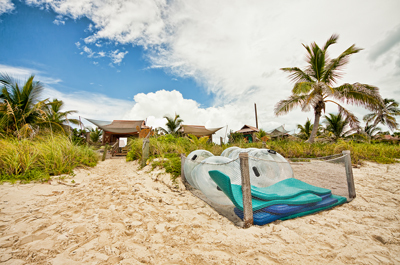 New Private Island – Don’t get me wrong, I love Castaway Cay something fierce. The private islands I’ve visited on other lines don’t even compare. So let’s do another one! One where the ships could stay overnight on certain itineraries! One with even more beach space and more cabanas! More ice cream stations, more water sports, more of everything! You can’t have too much goodness. 10. Bathtubs – I have one final plea. Please don’t take away our bathtubs, Disney. 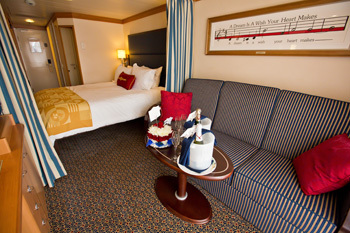 Disney Cruise Line is just about the only cruise line where rooms without tubs are few and far between. On other cruise lines it is the exact opposite. On other lines, if you’re not in a full suite, odds are you don’t have a bathtub. I am hoping and praying Disney doesn’t follow suit on that. Disney is a family-oriented cruise line with parents of small children who need bathtubs. Also 40-something-year-old women who enjoy a nice hot soak before bed. I wouldn’t worry about this at all had the Grand Californian, another family-oriented resort, just taken out almost every bathtub they have. Other Disney resorts are following suit. I don’t understand it! What is this world coming to? So what ideas do you have? What would you like to see on these glorious new ships? Share your ideas with us! Special thanks to the TouringPlans bloggers and some other friends for suggesting some of these ideas! Not the bad ones, of course, I will take full responsibility for those. Now I’m worried about lack of bathtubs ;). I think the themed rooms sound great. They could even do them in the interior rooms, then they could charge more for a previously undesirable room. Or just make a less desirable room better for those of us who need to/ like to cruise cheap. Me too!!! Haha! Let’s start a movement now to make sure that Disney hears our voice about bathtubs! 🙂 Interior rooms would be perfect for the themes! They could do the virtual windows ala Star Wars hotel! Oh please! Please! Do not take the bathtubs away. I take Disney Cruises with my Retirement Group. I have Osteoarthritis and it is wonderful to relax in “luxurious bubbles” on a Cruise Ship. O can relate with the Mother’s. My “Grown Adults” when they were small always had a “fun bath” before bed. My 10th Cruise is scheduled November 2019 with the “Retiree Group” we enjoy the Adult Section of the ships especially the Fantasy and all the activities after dinner! The retirees can relate to “Disco Night” with DJ: J Alan! Yes, please add more to Castaway Cay with an “overnite stay”. Awesome Island and love the 5k! Thank you Marta! Bathtub supporters, unite! 🙂 And I love your group, Marta! My biggest hope for the new ships is that they add enough supply so demand (and therefore prices) go down a bit. I miss my Disney cruises! That said – I’d love to see an Adventurer’s Club or Trader Sam’s style bar!! I hear you, Michelle! A reduction in prices is never a bad thing! I like those bar ideas too! Alaska twice, I appreciate having some indoor alternatives. I’ve often thought the cruise ships could incorporate some activities from the old Disney Quest, and an escape room sounds great too!